Leave it to the PRO’s! At Almighty movers, we understand that moving can be stressful, our staff will do everything possible to assist you in your transition. Overwhelmed with the details of your move? Need Help? These Helpful Tips from Almighty Movers Will Ease The Process. Info on..How to choose your mover, Proposal for moving services, Mover’s Liability, Transit Insurance, Pickup and Delivery Dates & more. At Almighty Movers, we understand you have many choices when it comes to San Antonio Movers, we value the importance of customer service and we strive to be #1 in our market. Our employees are courteous, professional, uniformed and always available to answer any of your questions. In other words, we are there for YOU every step of the way! We want to earn your trust, build an ongoing relationship and be your elite moving company, so you can tell your friends and family about your great experience with us! Have moving dates in mind? Know how many rooms? 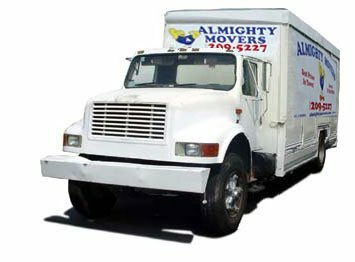 Get your free Almighty Movers online estimate now!